Smart Money contributions focus on educational programs and projects that need funding in the current year. Smart Money letters are distributed to each district family throughout our district in November, however, gifts to this fund are accepted at any time during the year. 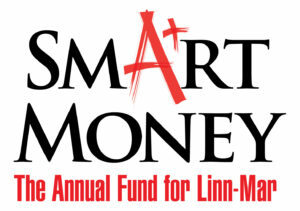 Unrestricted gifts to the Smart Money annual fund impact educational excellence at Linn-Mar. Contributions are channeled into our K-12 grant programs throughout our district in support of 21st Century classroom technology, Music in the Schools, Science, Technology, Engineering & Math (STEM) programs and materials, Enrichment Programs, Literacy & Media Center support, Emerging Curriculum, Under-served funding areas and much more. This fund allows the greatest flexibility for the Foundation to meet the needs in our district classrooms.